LedZepNews: Why don’t we start at the start, looking back over your career as a photographer shooting these amazing bands over the years. How did you get your start working in that role? Robert Ellis: Love of music, very simply. That’s it. I always wanted to be a photographer but back in my school days the careers master at my secondary school was going ‘well, there’s no career path there, son.’ You know, ‘you’ve got no chance in that line of work.’ And so I was steered in the direction of electronics and engineering which seemed to be the up and coming thing. Anyway, I was kind of interested in that anyway, so it was the obvious thing to do. So I went to college and did a HND in electronics, electronics engineering, mechanical engineering, all that stuff. And then applied for umpteen jobs with different companies all round the country. Back then it was a really different world. Everything was crying out for people with skills like that. It was really a question of which one do I choose? I went and did an interview with the BBC down in London and they gave me an offer as well. So I decided to come to London because that suited me better to be in London than to be in Loughborough or Leicester or some other place, Bristol, where some of these big tech companies were situated. Anyway, so I came to London and the BBC were very good, looked after me and gave me a good job and generally it was very comfortable. But the good thing was that I was posted to Bush House, which was on The Strand, the top end of Fleet Street. Well, it couldn’t have been more strategically good for me to pop out in my lunch break and take my pictures down to the music press which was down Fleet Street. So I was just five minutes away from where I was working, which was perfect. I started delivering pictures to the press seriously. I was already going to a lot of these kind of shows and I was very attracted to the emerging heavier sound at the end of the sixties. And the pop bands in the mid-sixties and lead by The Beatles were getting more and more adventurous and more and more forward-looking, Their Satanic Majesties Request, all that stuff was going on. The Who, The Hollies, The Moody Blues. All these bands were making more aggressive, more adventurous music. Anyway, that’s what I was following. At the time the music press was very interested in the American pop music scene and they weren’t really that bothered by what was going on, as you were, on the ground in the UK until the NME got a new editor in the early seventies, right at the end of the sixties, beginning of the seventies, and he was much more switched on and so then he started to be attracted by the stuff I was bringing in and dumping in the reception room at the office. LedZepNews: You left your technical job and went to do photography full time at that point? RE: Yes, I quit the BBC to go overland to India anyway. So when I came back I was fully intending to go back to the BBC. But no sooner had I arrived back in the country again than the NME offered me a job. I wasn’t going to turn it down, was I? So that was the end of the BBC. They said ‘you can’t do that!’ My parents were absolutely apoplectic, as you might imagine. ‘It was a proper job, what do you mean you’re giving it up for photography? !’ Anyway, off I went and I guess I never looked back. It’s been quite a rollercoaster, I tell you. I was interested in working with bands rather than for newspapers and I spent the first five years of my life working for newspapers and magazines gradually building up a load of contacts and relationships with these magazines, mainly all over Europe, Japan to some extent. America I tended to avoid because Americans, the magazines in America were very focused on their own way of doing things and they didn’t like us Europeans much. They wanted a certain type of picture that the Americans would do. I kind of didn’t circulate my pictures to American magazines much at all for that reason. I just didn’t think that Americans liked what people like me were doing. The European music scene, photographically, was very different from the Americans. We were very interested in the Americans, and certainly certain photographers within the American music scene. We were very interested in the kind of people who worked for Rolling Stone, for example. They were much more our scene, as it were, than Circus or Creem. Anyway, Led Zeppelin came into my life very early on in 1969 after I was excited to learn that they had formed this new band and this was very much in line with what was going on in the scene around that time. This was very big news to the underground, to the people underneath the mainstream. They were very much underground at that point. So it was quite a revelation to see them for the first time. I guess it was them and The Who that really got me going as a photographer because the inspiration I got from their performances really captivated me from there on. It set the direction of travel. 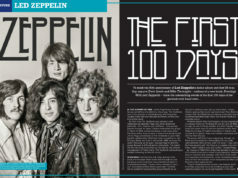 LedZepNews: What was it like to photograph Led Zeppelin back in 1969 and throughout the seventies? What was it like to be at those shows and to be taking photos of them? RE: Well for a start they were very distant. And I think they stayed that way all through their lives. They were not very fond of the press. They accepted and were very good to the press, but they didn’t like them. It wasn’t something that they accepted very readily. It was a chore, a necessary thing to do when necessary. People like me who were working specifically for NME, I later worked for Melody Maker as well and for other magazines as well, I guess that they selected people on the basis of how important they felt these photographers were to their career rather than any personal relationship. Certainly that’s the way it was explained to me by people like BP Fallon. And so it was kind of interesting to get a perspective on that. I felt kind of resentful that I wasn’t really able to get as close to them as I got to many other bands. But nevertheless it was close enough and closer than most other people ever got. So I was kind of grateful for what I got and I certainly didn’t balk at it. In a sense, I think that was quite right of them because that mystique that they built up was important to them. They didn’t want people to know too much about what was going on behind the scenes. They wanted the public persona to be their live performances. And they were sparing and selective about people like Neal Preston and Pennie Smith had a privileged inside view, but even their view was constrained and limited, as far as I can see and I don’t wish to make any difficulties with anybody because everybody has their own way of working and that’s how it is. 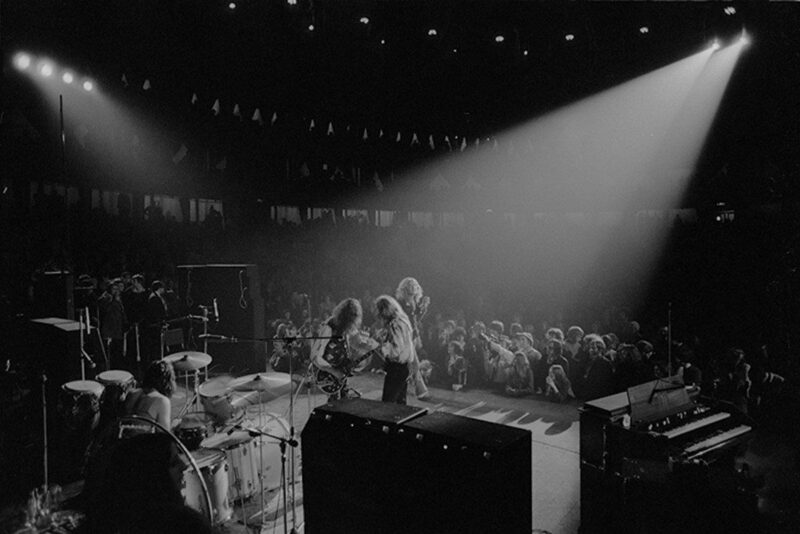 LedZepNews: You first shot the band in 1969 and then finished with Knebworth in 1979? LedZepNews: So how did the band change or your perception of them change in that decade of shooting them? RE: Well, they got bigger. They got grander. They got more confidence and I think the shows got more and more ambitious. Not just in visual appeal but in their interpretation of music, the way they put those shows across. They used the sonic element of their music in every element of their performance. It wasn’t just the guitarist playing guitar, the singer singing songs, the drummer drumming the drums, it was very much a mix of echoes across the floor of the stage. That seemed to be a feature that grew and grew as they got on in their careers. That was quite specifically Led Zeppelin, you wouldn’t expect Jethro Tull to do that or The Rolling Stones. Sorry, no, that was not their way of doing things. But Zeppelin, yes. Specific tonal, sonic quality that I don’t think any other band has. LedZepNews: Would you say your experience of photographing the band live, did that change your perception of the music when you listened to it? RE: No it didn’t, it added to it, it didn’t change it. It simply added to it. If you listen to music without having ever seen a band, you get a quite different impression about what you like about the music you’re listening to. When you go to see a band, anybody, that is, fans, photographers, journalists, anybody. They will get a different perspective. I think that’s what makes the music scene so exciting is the fact that you can have your preset perceptions or conceptions of a band completely destroyed by going to see them live. That is often the way in, not the way out for people who are ‘oh, okay, you’re going to see them, I’ll tag along too.’ And they come away lifelong fans. For me, that’s absolutely key. It doesn’t matter whether you’re 25 or 55 or 85, what matters is how does it hit you when you go and see them? Because some of the music is now, what, 50 years old, and you begin to wonder why people of today would even be interested in music that old in terms of years. But it isn’t old, is it? RE: 23! There you go, I’m not far out. See what I mean? How much of Led Zeppelin do you personally know? In terms of live experience, the O2? LedZepNews: Well I never saw them live. I was never at the O2. I was too young for that. RE: You were, you’re running something that is a key element in their life that is helping their promotional machine. That’s quite a jump for somebody who’s 23. 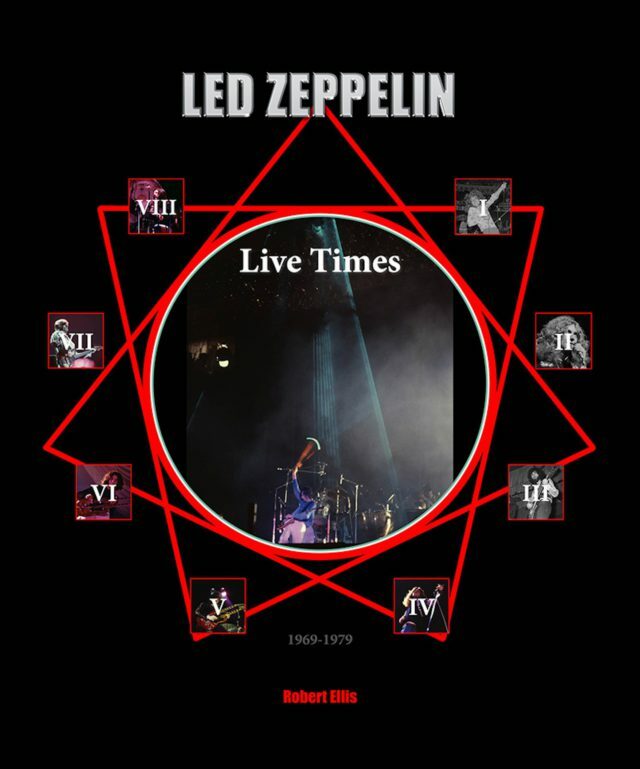 LedZepNews: I think it’s the mystique, as you say, of Led Zeppelin and that body of performances and recordings. That’s the way I look at it. RE: You’ve got it, yes, that’s right. And that’s exactly what encourages me, what makes me want to do this book. LedZepNews: Looking back to photographing the band back in the day, which band member would you say was the most interesting to photograph, or perhaps most difficult to photograph? RE: The people who do the least, visually, are the hardest. So that would be the bass player and the drummer because they don’t move much. John Paul Jones might sit down at a keyboard occasionally, he might stand up and play stand up bass or a different bass or whatever. He might actually sit down with them when they do the acoustic section. But nothing much goes on. The funny thing is that John Paul Jones is the guy who’s constantly observing what’s going on. He has his eye on everything that’s going on. I think because he has the time and the knowledge and experience and enthusiasm to do that. So he’s standing there, sitting there, whatever. He’s observing everything around him. He’s not absorbed in the music like the others might be, which I found fascinating. He was, of course, concentrating on what he was doing, don’t get me wrong, it’s just that he had that element of a wider perspective. Looking at everything from a wider view. Whereas the others were much more concentrated on what they were doing themselves. LedZepNews: So John Paul Jones would be aware of you and other photographers and perhaps the others wouldn’t be so much? RE: Not so much, that’s right. That’s the element, that’s the bit that separates them. Of course they were all conscious of us. You couldn’t avoid us. We were in their line of sight the whole time. But that’s the same for every band. I mean, we get used to that, we’re directly – it’s one of the main reasons why I think so many bands restrict photographers to three songs or less, I think because they get tired of seeing this disembodied business in front of them that doesn’t seem to have much to do with what they’re doing. It’s like these guys with cameras are not really involved and they’d rather have them out the way so they can concentrate on the kids in the front who are involved. I get that. I absolutely get that. And one of the things about being on the road with a band is to be at one with the front row when you’re working. You have to be part of it. I consider myself a fan so therefore I work like that. I’m not aloof from it, I’m not separated from them. I’m with them, part of their experience. If it doesn’t move me then I would rather not work with the band. So there are choices to be made about who to work with and who not to work with and I’m not afraid to make those decisions. But a lot of editors were upset with me for not wanting to do this and not wanting to do that. But in the end, it’s what I think I can achieve from working with that particular artist or band that matters, not how big they are. 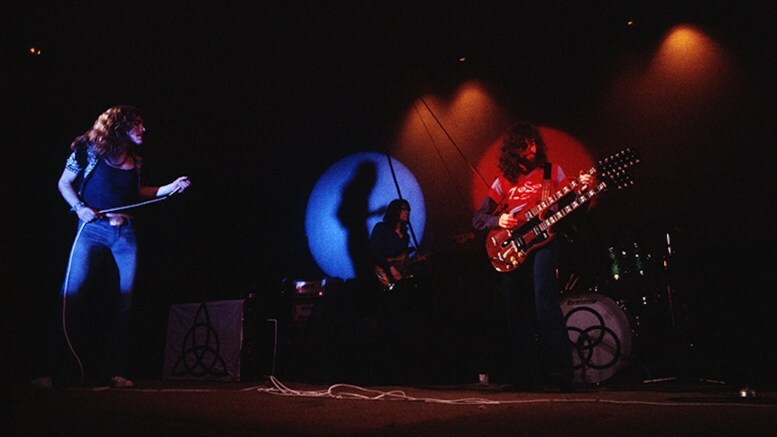 LedZepNews: I’ve always wondered, how different was it taking photos of Led Zeppelin to other artists at the time. You mentioned that distance and reluctance to deal with the press, would that be the main difference? RE: Yeah, that would be the main difference. There were very few bands as focused on their plan as they were. Oh, I think probably, again, I can’t think of another band in the same sphere, the same space as Zeppelin were in. It’s quite a unique thing. It’s something that took me a while to get my head round because it was just not what I was used to. I think it was, the major, where do I begin, where do I end? Alright, I’ve answered that question. Let’s see where this goes, shall we? 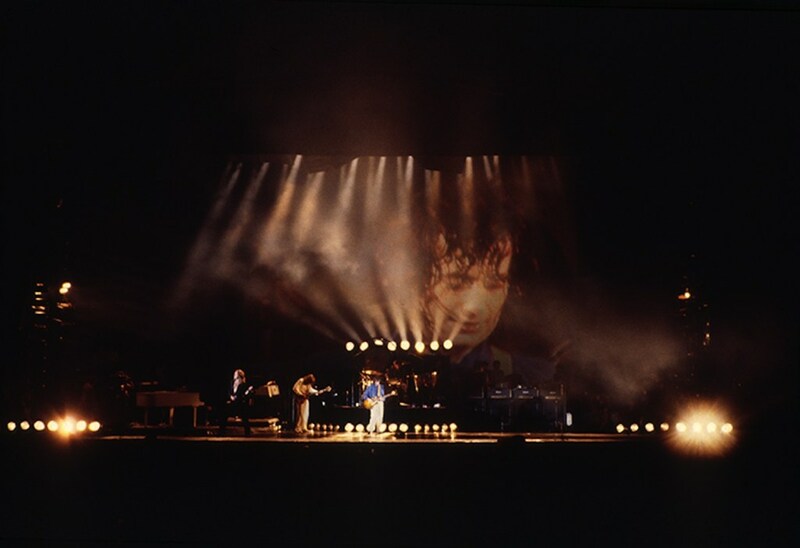 LedZepNews: Did you ever deal with Peter Grant? Or was it mainly BP Fallon? RE: Yeah, of course, and there were other PRs. There were quite a lot of them. BP was more a friend than a PR. Nevertheless, he was very much a key figure in their inner circle. But there were others. Grant, yes, on and off. Always courteous, always polite, always very well-organised. Never, except for the back end of it, sensed that he was somebody not to be messed with. It was rather what you didn’t do around Peter Grant that mattered, not what you did. He was a template for many managements of many bands and I guess he was somebody I would hark back to when dealing with managements of other bands and ‘oh, what would Peter Grant do? What can I expect from this manager dealing with this band? Hmm.’ So, to be prepared for the way managements behaved was really to concentrate on thinking about what Peter Grant do. I mean, they were really trailblazers on every other aspect of the music business. There isn’t an area of the music world, the rock music world, that they were almost single-handedly developing by themselves that wasn’t followed and emulated by other bands. Even when they were touring America with The Rolling Stones doing the business over their heads, they were still very much the band that people like The Rolling Stones would look at to see what they were doing, even though they were doing much bigger business than Led Zeppelin in terms of world appeal at the time. In the mid-seventies, I’m talking about. But in those days, and I guess that was the main appeal of Zeppelin to the business was the innovation they brought in. The sheer sense of adventure, the sense of experimentation that they brought. You were never quite sure what you were going to get when you went to a Zeppelin show because, I mean, they were very reliable in terms of the music and what they presented on stage. But I mean the presentation of it was never orthodox. There was always something a bit quirky, a bit different, a bit special about the way they put on their shows in terms of presentation, the venue choices, audience arrangements, acoustic arrangements, that kind of thing. Not many bands paid that much attention, certainly not in the early seventies. LedZepNews: I notice in the contents of the book that you include some photos that you took of Jimmy Page at the Swan Song office back in the day. What was that office like? RE: It was a bog standard business office, basically, on the Kings Road down at the grotty end. It was an old building that had been renovated. There was nothing special about it at all. It was very understated, there was nothing much on the door, there was nothing much to show you what it was. Swan Song was not emblazoned everywhere like it would be if you went to Atlantic Records. It was very much low key. Understated, I guess in keeping with their… I went there to see other bands on the roster, I was there several times. It’s not as if it was the only time I went there. They were always very businesslike, as I say. Very organised. It was a very standard office environment. Nothing particularly grand about it. LedZepNews: How did you come to select the images for the book? Was it a painful process? You mentioned it was an ongoing one. RE: Painful, it was very painful! Because I had to leave out so much. No, I think that in the end it was about rescuing the disparate bits and pieces of their history that had scattered themselves around my archive for 40 years and putting it all back together in one place, ordering it in chronological and as best order as I could make and also to be able to scan in these old film bits and pieces that had never been seen before, files full of old prints and negatives, most which had never been used because there was only a certain element of their presentation or pictures that I would want to present to the press. Bearing in mind that they only wanted one to five pictures, so why give them 50? That was the concept was to keep it simple. But come to the book, it’s a different story and to have the freedom to organise the pictures to present the pictures in, first of all, in an orderly, chronological way with proper captions and proper progress of the band from start to finish, which is something I think has been missing from a lot of other books on Zeppelin, certainly on photo books. It’s a shame, people don’t want to think chronologically, they want to think thematically like you walk into a gallery and you see prints on a wall. And how many times have I been there and the pictures are scattered about with thematic ideas rather than in chronological order? If I go see an exhibition of David Bowie, I want to see David Bowie from day one to day 100 and I want to see, that’s my view as to what I think when I go, is I want to be able to follow the progress of the artist. Like putting your albums in chronological order. So you’ve got Led Zeppelin, and it starts from one and goes through to Coda or whatever. It goes all the way through, but you have it in your mind and in the way you order it, in chronological order. Why would you do it any other way? LedZepNews: You mentioned earlier almost like a collaborative element with other photographers, and not much of a competition. I wondered if there are photos of Led Zeppelin that you look at and wished that you had taken that one or been there for that shot? RE: In that respect, Neal Preston’s access to the band is the only thing I kind of envied. Even that is only, that’s in praise of him, not in resentment. There are two Neils: Neil Zlozower and Neal Preston, the two American rock and roll photographers who I most admire. And there are other photographers equally important and some of their work I love too, particularly people like Jim Marshall, for example. And there are others. But it’s their love of rock and roll which is mirroring mine, from my perspective and others I think, that attracted me to their work and to be interested in what they did. So it was more an inspiration than a competition. LedZepNews: Obviously there was the announcement that there’s this official photo book coming. I imagine that was expected. What was your reaction to seeing that announcement? RE: Several weeks ago I’d been to see Dave Brolan at Reel Art Press, so at that time he told me under the radar what was coming up. 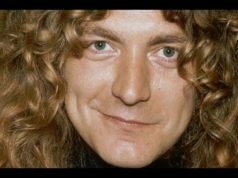 So it was very much I knew about it and we discussed at length the various certain projects that are in the pipeline and he and I had a long relationship, certainly regarding Zeppelin, going back many years. And he and I, I was one of the collaborators on the remasters, so he and I had many meetings and discussions about the pictures that went in to those extended remasters. So my involvement, it was only because of Dave Brolan’s character and enthusiasm and our longterm friendship that persuaded me to be involved in those projects because by that time when the remasters of Led Zeppelin came out, I was already withdrawing from licensing my images to anybody within the media so that was a reaction and consequence of this ridiculous state of the business that I’m afraid we’re all in, I’m afraid. That we are all in these days. I hope that in the coming years new ways forward and new relationships and businesses will evolve. I’m definitely ready for it. And even though I’m coming into my early seventies now, I don’t feel it. I feel that I’m as much involved in what this business has to offer as I was when I was 23. I hope that it continues that way. Right now it’s up in the air what’s going to come fluttering down, but it’s all up there. It’s a question of, well, what comes down?